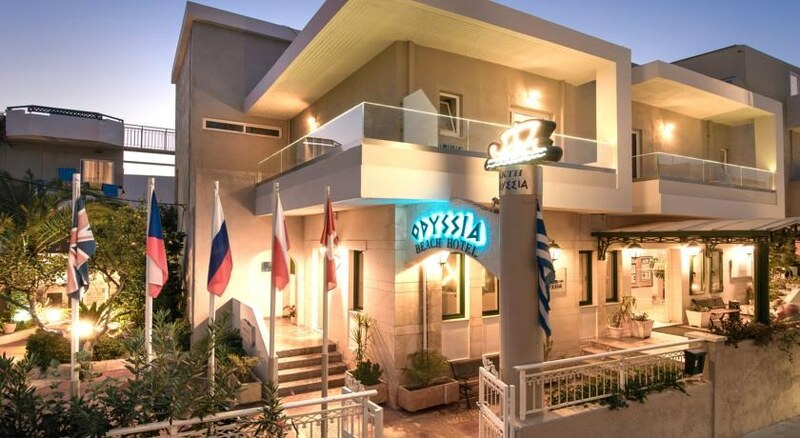 Located on the north coast of the stunning island of Crete and only 3 kilometers from the old Venetian town of Rethymno, The Odyssia Beach hotel assumes an excellent position directly on the seashore of Missiria. 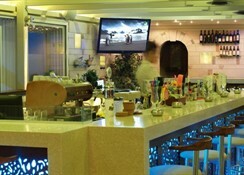 In a joyful and friendly atmosphere it offers many choices of relaxation and entertainment. The picturesque town of Rethymno surrounded by impressive mountains and the endless Cretan Sea, with the Venetian harbor and the magnificent alleys, the full flowered fresh painted yards, the fort of Fortetza, and the attractive traditional taverns will transfer the guests to forgotten ages. 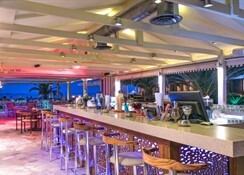 The hotel features an adult swimming pool as well as a children pool, organized beach, a fully equipped gym, restaurant, a mini shop and an impressive range of other facilities Wi Fi, large screen Sat TV, safety box, Tavern & Bar, and baby ground just to name a few. 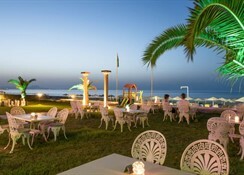 All rooms of the hotel offer separate air conditioning, Sat TV, telephone and balcony with view to the sea, to the mountain, or to the garden.